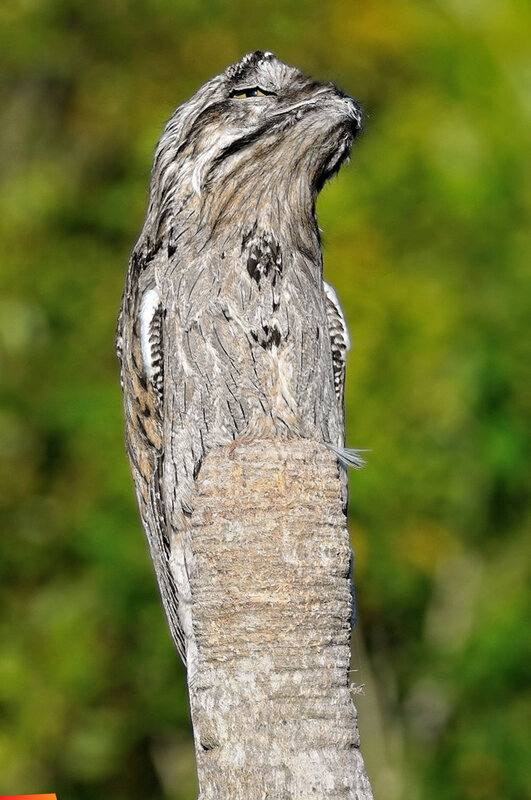 Photographer Frederic Consejo from Belize initially thought he was just looking at a bare tree in a friend’s garden, until on inspection he realised it was a potoo – a bird he had wanted to catch on camera for a number of years. During the day, the nocturnal birds, which are found in tropical America, perch on tree stumps and seamlessly blend into the bark by plumping up their feathers – before going off hunting for flying insects to eat at night. 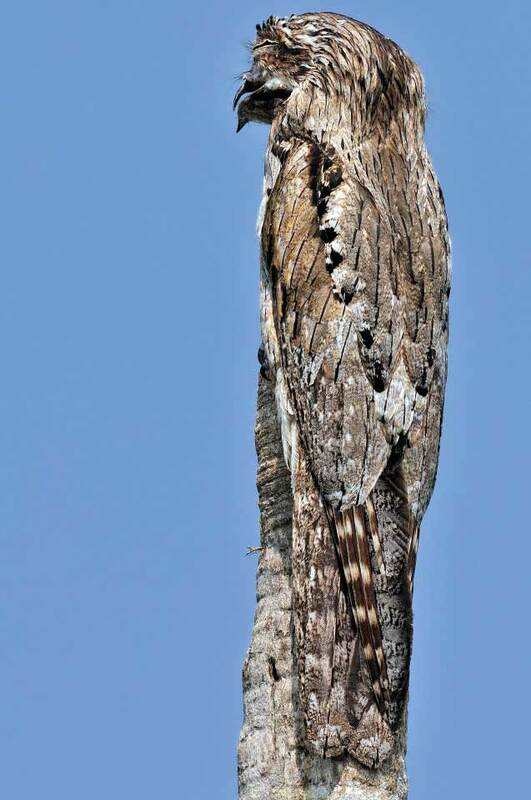 The 55-year-old, of Consejo, Corozal District, Belize, says: “I was taken by surprise when I realised that a funny shaped tree at my friend’s house was actually a northern potoo. “I had been hoping to photograph one of these birds for years, but they had always been too difficult to spot. “So I quickly picked up my camera and snapped away while I had the chance. 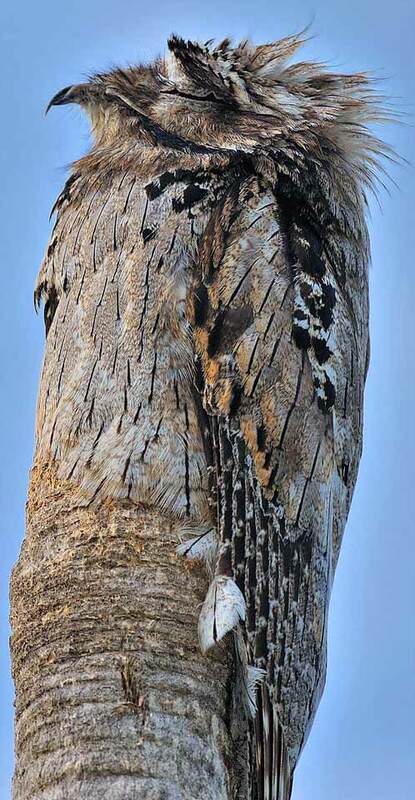 “I felt quite stressed that the potoo would fly away after all of this time waiting to find one. Frederic, who spent two hours photographing the bird, says: “I was less than 10 metres away from the bird as I took the photographs. “But I had to be mindful of the fact that northern potoos are not used to human company, so I remained as quiet as possible. “The bird slightly opened one eye to have a peek before settling back into position.